« Why is car buying work and bike buying fun? 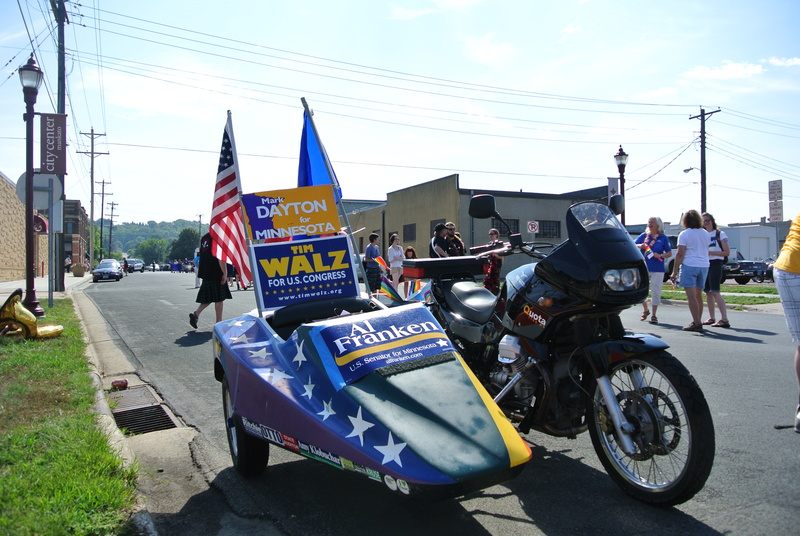 Been debugging the Quota this summer in anticipation of next years parade season, and rumor got out that Congressman Walz himself was gonna be in the Mankato Pride Parade. I was already sentenced to work the festival afterwards, so that’s all the temptation it took to get me to bring the ‘hack instead of a solo bike. Hot one it was, with temps around 90 at the start and got hotter from there. The Guzzi didn’t miss a beat in the heat, even seems to run a bit cooler than the BMW airheads. No faint smell of oil and other burnt and boiled things afterward, either. Finallly cooled off on the ride home, and the Guzzi cruised 60-65 all the way despite the heat.. When you got your V-Twin right, who needs water cooling? The clutch effort was a bit Harleyesque though, perhaps I should spring for a hydraulic actuated conversion?